No longer siloed into former predefined categories this year’s Southside Arts Festival Urbanesia brings together a plethora of artistic excellence with new forms, activities and installations across the visual arts. Visual arts programmer Tracey Williams shares how the festival enables the people of Auckland to have “a concentrated encounter with the arts and culture of the city’s burgeoning urban Maori and Pacific practitioners”. Festivals are sites of transformation and although still relatively young, Urbanesia is actively contributing to the creative landscape of the city. It is not surprising that many consider the current time to be a tipping point in regards to widening the circle and increasing the diversity of opinions, experiences and knowledges. Urbanesia as a festival, in its capacity both of form and platform, highlights how the conversation is rapidly expanding; challenging binaries of traditional and contemporary, regional and urban, normal and other, and consequently re-defining those. 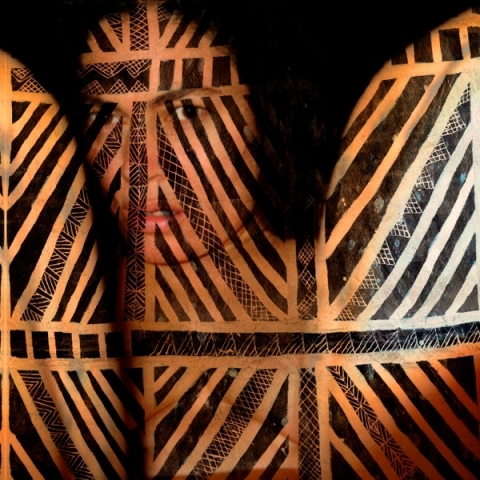 “Being able to see incredibly diverse exhibitions in the same period connected within a conversation that highlights Maori and Pacific identity is a watershed moment regarding ‘normalcy’,” says Williams. And Urbanesia’s wide programme reflects the diversity within the Maori and Pasifika festival with weaving, jewellery and crochet workshops alongside beautiful tapa displays and multi-media installations. “How incredible to have packaged in the same programme Kolose: The Art of Tuvalu Crochet 2 alongside the exhibition Pasifika Clothing est 1992 that documents the story of an urban fashion label founded by Stan Tallon and Sjimmy Fransen featuring photography, music, film archives and samples of clothing,” enthuses Williams. No longer is the past and the future at polar opposites, Urbanesia highlights the fluidity of the past into the present and the future, and the future, according to Williams, certainly looks bright. The last of four urban villages, Takapuna, offers a range of visual art delights and will conclude this Saturday on November 29.